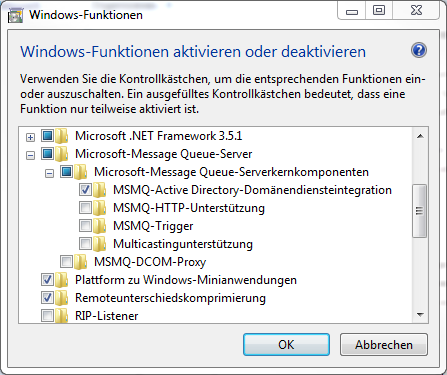 How do I activate Message Queuing in my Windows installation in order to use the MSMQ sensor? 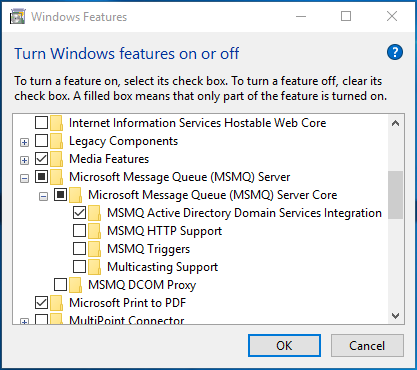 To use the Windows MSMQ Queue Length Sensor in PRTG you need to start the Message Queuing service on both the computer running the PRTG probe and the target system (for example, start services in services.msc). 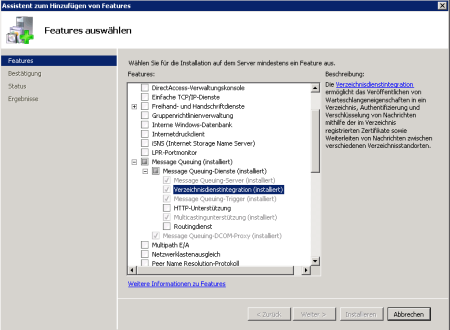 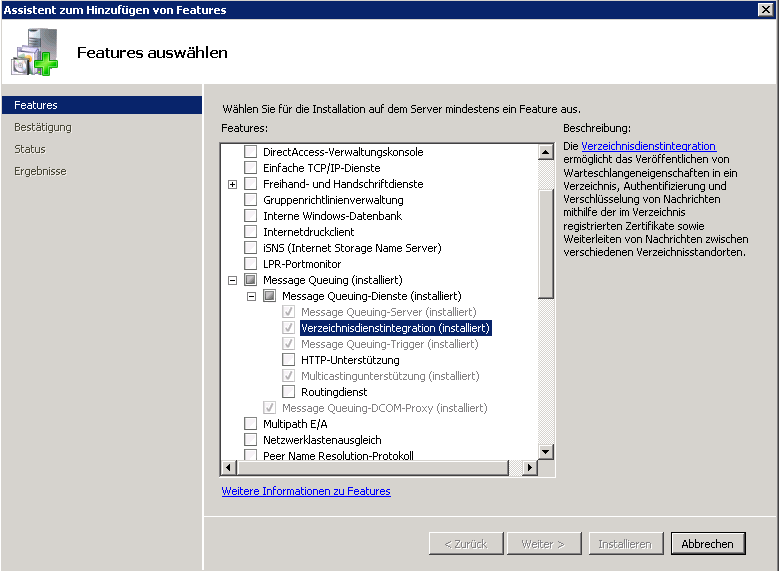 Message Queuing is only automatically installed on some server Windows versions. 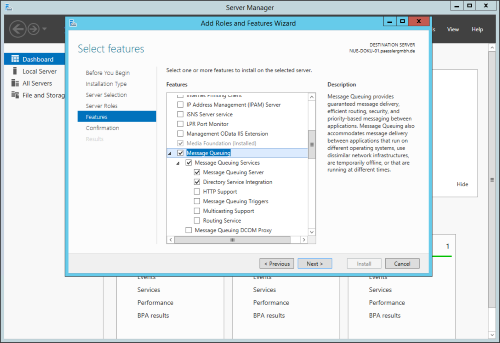 Depending on the Windows version you're using you have to install the Microsoft Message Queue (MSMQ) Server first. See sample screen shots below.